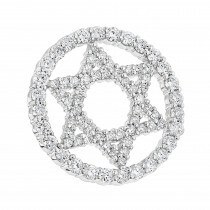 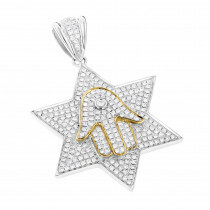 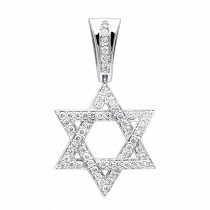 This Diamond Star of David Pendant Chai weighs approximately 7 grams and showcases a fully paved design. 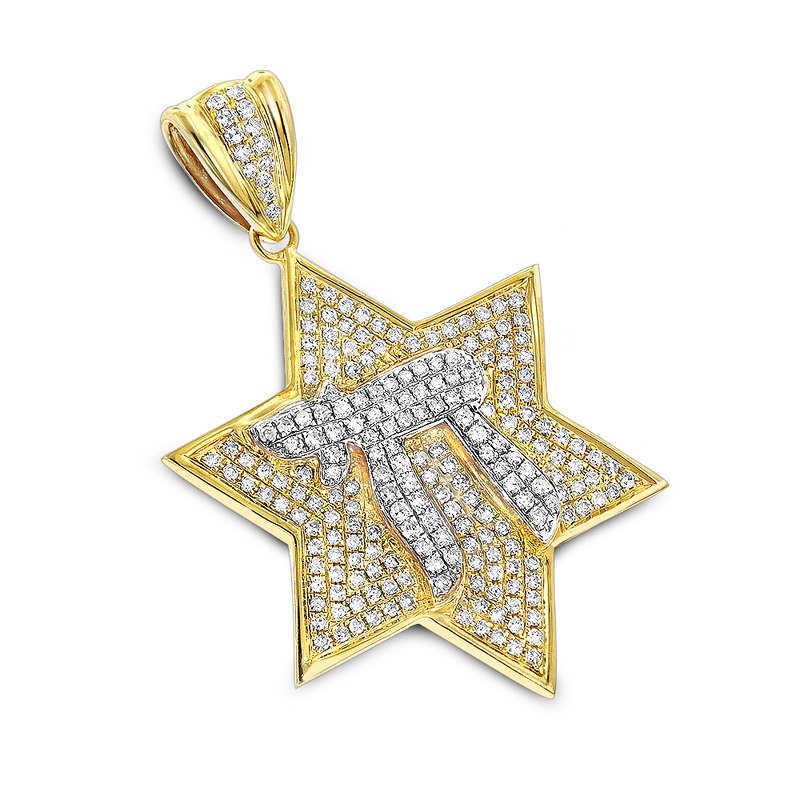 Featuring a highly polished gold finish and 1.11 carats of sparkling round diamonds, this luxurious diamond Star of David pendant is available in 14K white, yellow, or 2 tone gold. 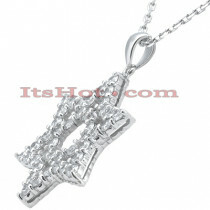 Please note: the chain is for illustration purposes and must be purchased separately.